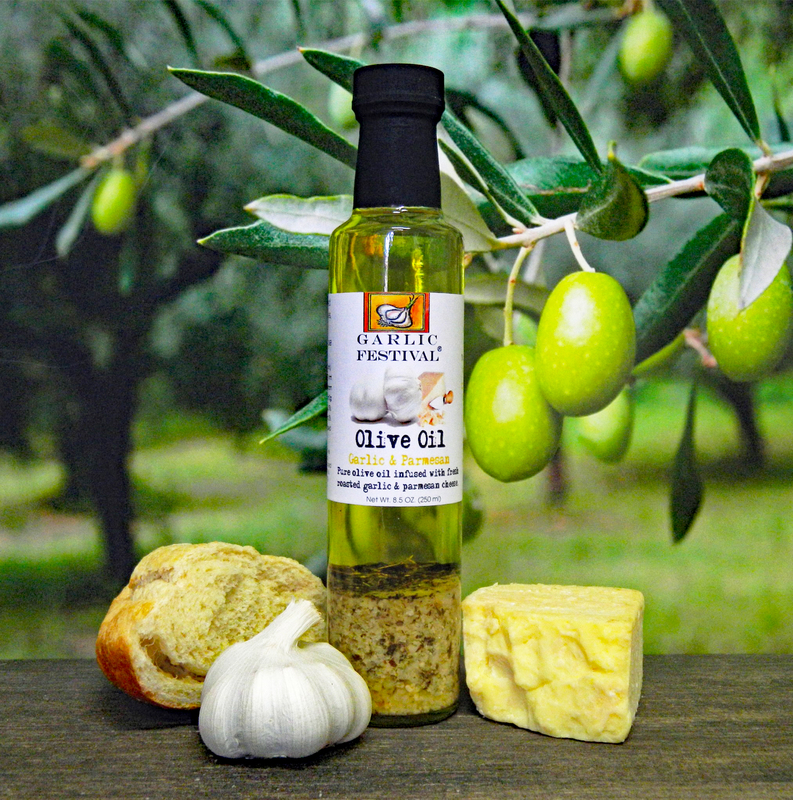 Our pure olive oil is infused with fresh garlic, Parmesan cheese and selected spices for a quick and easy burst of flavor for cooking. Ingredients: Pure Olive Oil Infused with Fresh Roasted Garlic, Parmesan Cheese (Pasteurized Cultured Milk, Salt, Enzymes, Corn Startch (anti-caking agent), Oregano, Basil. Shelf Life: Our Olive Oils have a shelf life of 18-24 months. Due to olive oil's high monounsaturated fat content, it can be stored longer than most other oils. When choosing your storage location: remember that heat, air and light can affect the shelf life or your oil. It is always best to store your oil in a cool and dark area. Experts recommend storing oil at 57 degrees Fahrenheit, but room temperature of about 70 degrees Fahrenheit will be fine. Refrigeration is the best for long-term storage. Great product, put it on a lot of different things, really brings out a lot of flavor, that’s why I buy it buy the case.